For five whole days the organisers of the DMY Festival invited designers and a specialist public from all over the world to a colourful design spectacle by the Spree. 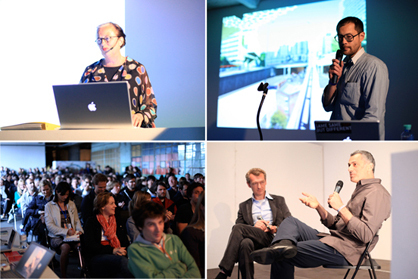 We were impressed this year by DMY Berlin in its role as a presenter and communicator of design. The DMY has now achieved a credible position as a pure design event, without leaving the unpleasant after-taste of being simply a product trade fair in disguise. With an enormous increase in the number of exhibitors and a much wider programme of events the festival has escaped from its 'new kid on the block' image, and has established itself as a well-curated platform for progressive design concepts. Focusing the exhibition on two main locations this year has proved itself to be a good decision, with the DMY Youngsters show at the Arena in Treptow for the first time being supplemented by an exhibition featuring the DMY Allstars at the IMA Design Village, an old brick factory in the heart of Berlin Kreuzberg. Here 150 more or less established designers, related festivals and curated exhibitions -for example Designhuis from the Netherlands –presented their creations. 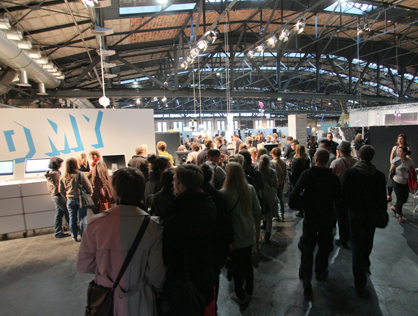 In the Arena up-and-coming designers and schools of design showed their works on a generous area of 7000 m². The size of the area provided plenty of space for extensive installations and created an inspiring atmosphere -- giving it a decisive advantage over the effective but less original Milan 'box system' of the Salone Satellite. Another attractive feature was the refreshing mixture of established and up-and-coming designers, which rather undermined the differentiation between Allstars and Youngsters. As a result it was difficult to define specific differences between the two locations. The attraction of the festival in terms of content was accentuated above all by a well chosen accompanying program: the DMY Symposium in the slightly shabby but all the more charming 'Kunstfabrik' included lectures, roundtable discussions and workshops led by prestigious designers such as Chris Bangle, Arik Levy and the well-known trend researcher Li Edelkoort, who had previously surveyed the work of the Youngsters in the Arena. One thematic focus of the symposium was 'Alternative Strategies'. On this subject, for example, the designer Jerszy Seymour, a resident of Berlin, explained his almost 'situationist' interpretation of product design. 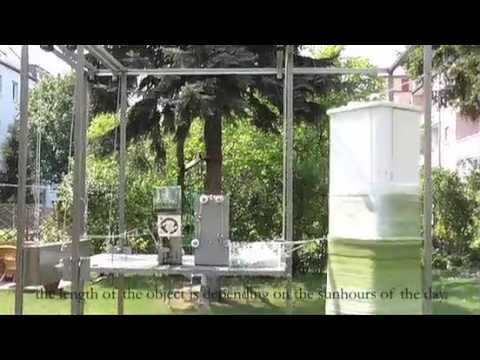 With his often improvised and amateurishly implemented objects the Canadian calls into question the mechanisms of industrial production techniques. The Israeli designer Ronen Kadushin responded to the challenge of finding alternative design strategies with his interdisciplinary concept of 'open design', in which he transfers to product design the open source idea -- in other words the global and creative cooperation among designers, manufacturers and dealers. This year's Dutch Design Focus places design from the Netherlands, the 'mother of concept design', at centre stage. 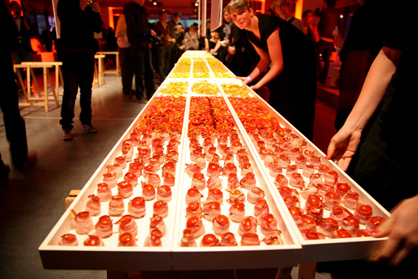 For example the young 'eating designer', as Marije Vogelzang from Amsterdam describes her activities, created this year's designer dinner within the crude walls of the WMF Club. 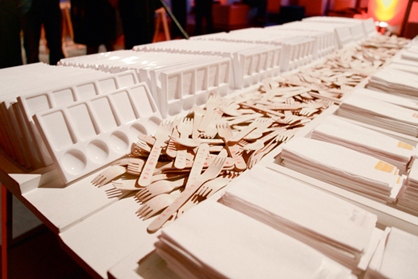 An extensive buffet of down-to-earth components was placed on large trestle tables, and visitors were able to compose their own selection on colour palettes. In this context the exhibition by 'Material Sense' entitled 'Responsive' and shown in the Netherlands Embassy was especially impressive. The exhibits were examples of interactive materials and technologies which react functionally to external environmental influences or the human body. And of course the outstanding project by the appealing Austrian designer duo mischer'traxler was also something not to be missed. 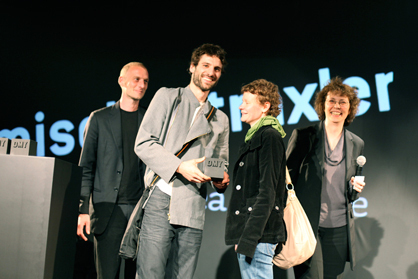 With 'The Idea of a Tree' they deservedly won one of the three DMY Awards, which were this year presented for the first time. At first sight the humming steel frame of their installation does not look very decorative. 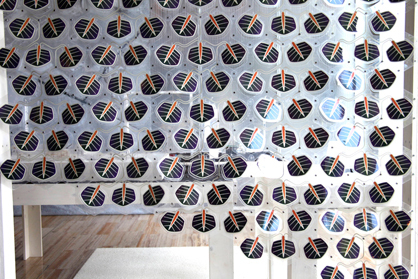 However the poetic treatment of solar energy, with which mischer'traxler produce one object per day, is soon revealed. In the process a thread made of natural fibre is first drawn through solar sensitive paint and then through glue, before later being wound around a cylindrical form. The speed of this process is determined by the intensity of the sun's rays. When the sun is strong the cladding of the object is thicker but lighter, whereas when there is little sunshine it appears thinner and darker. A stamp indicates the place and date of production. You don't often see jewels like 'The Idea of a Tree' in Berlin, but the DMY Festival is well on the way to bringing such outstanding projects to the city on a regular basis. The only negative point is that in spite of the presence of the press and star designers, there were still too few manufacturers and dealers there. This is a shortcoming which will hopefully be remedied next year in the light of the massive development which the DMY Festival has shown this year.